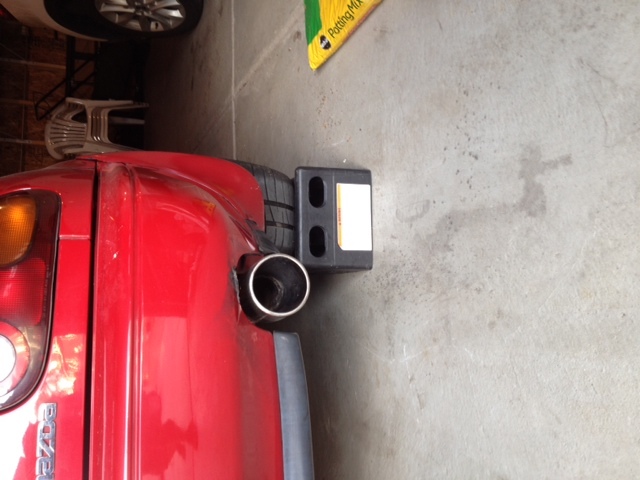 Retrofitted a Mazdaspeed3 Muffler on Naturally Aspirated NA - Miata Turbo Forum - Boost cars, acquire cats. Before warming it up, the muffler has the potential to wake small children at idle and a blip of the throttle within my 40' wide residential lot. In a typically suburban neighborhood with large lots, I wouldn't think twice about the extra noise while the exhaust warms up. 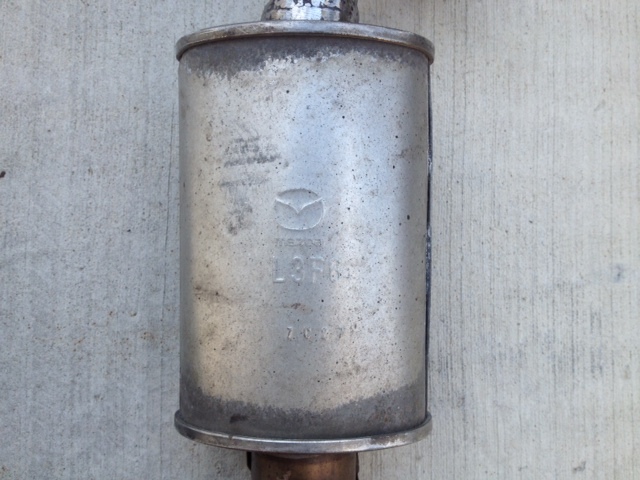 Once it warms up, the muffler has a nice soft rumble at idle (similar to the speed3). With a blip of the throttle, and at low speed acceleration, it's a bit louder than I appreciate, kind of like a Borla or similar, but it does not drone or rasp which is pleasing. Where this muffler really shines is medium to hard acceleration. It really loves the high flow and screams/rumbles at WOT. My plan is to take this out to an autocross with a decibel meter and see if it is within acceptable sound limits. It's hard to tell how loud it is to observers. Last edited by Enginerd; 05-18-2014 at 10:27 PM. Nice. 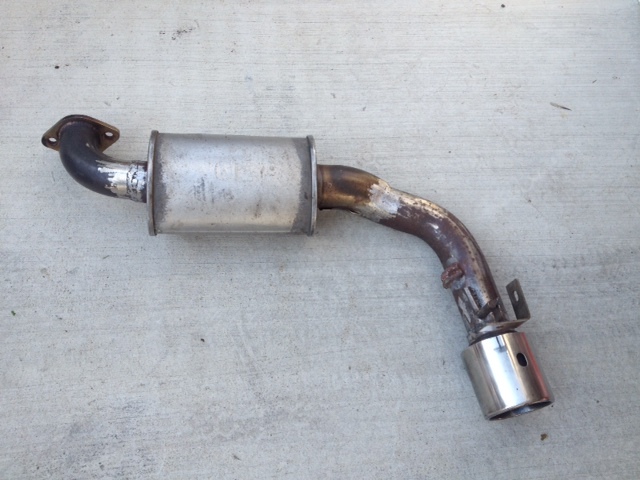 What size inlet/outlet is the mazdaspeed muffler? How much space do you free up under the car? Enough to mount the spare tire down there? 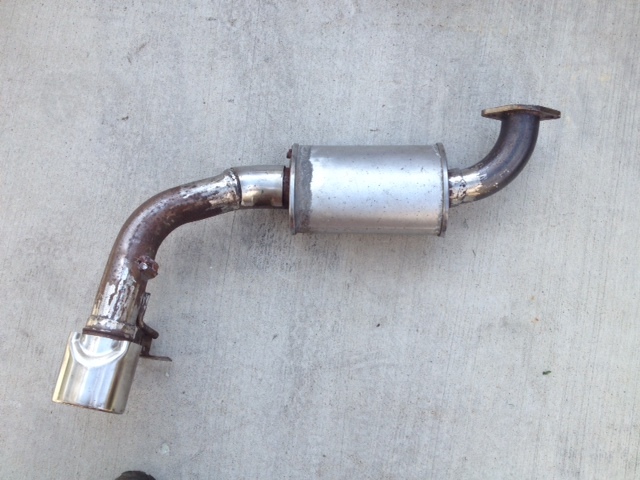 FYI - Vibrant sells an almost duplicated muffler to the MS3, dimensionally at least.